Paris Saint-Germain coach Thomas Tuchel urged midfielder Adrien Rabiot to stay put yesterday following reported interest from Barcelona. 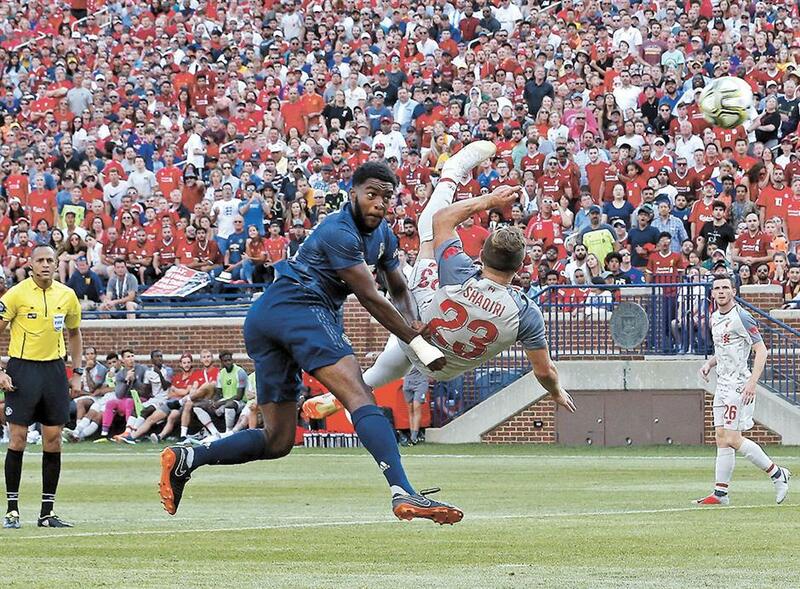 Liverpool midfielder Xherdan Shaqiri shoots and scores during the second half of their International Champions Cup match against Manchester United at Michigan Stadium in Ann Arbor, Michigan, on Saturday. Liverpool won 4-1.